We are very fortunate in having the opportunity to use the facilities at Crantock Village Hall. There are now four excellent tables available and we provide good quality balls, with a few practice bats for those members who do not have their own. The standard of play varies greatly and, although we have quite a few experienced and exceptional players, most members are very happy to give helpful advice and tips to anyone who lacks in skill and confidence. Age is not a barrier. Both men and women range from early retirement or semi retirement to several who are in their eighties. 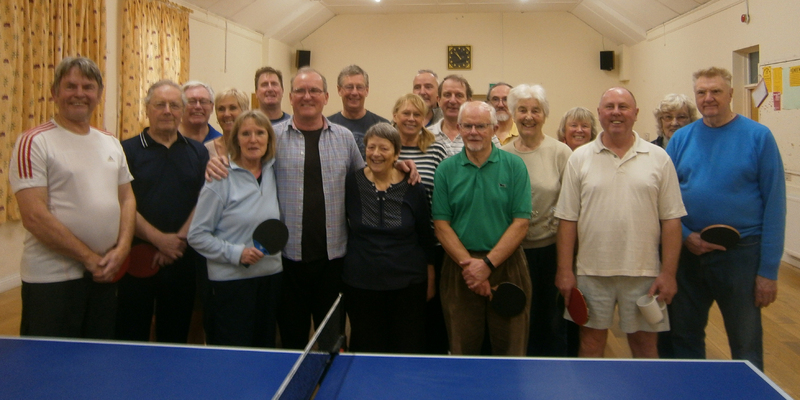 We are just a group of enthusiastic members, who really enjoy the camaraderie and exercise which greatly benefits all of us, both mentally and physically. We now have three sessions per week and members are very welcome to come along at any time during these sessions. The cost per session per member is a maximum of £2.00 which includes our mid-morning break for refreshments and chatter.